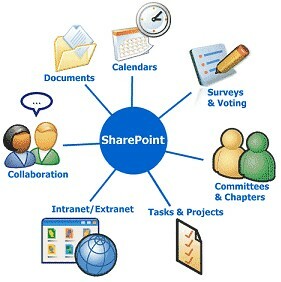 Blog:Are You Ready For SharePoint? Do you feel like the guy or gal at the party who missed the topic of discussion and now you’re stuck in the middle of a conversation with no idea what’s happening? Have you overheard endless hours about an application called SharePoint yet you still aren’t sure why anyone would need it? It came out in 2001, but you probably actually heard about it in 2007. Your office likely got it a few years back and now, just now you are either being told, or encouraged, to use it, all while your IT guys ramble on about upgrading from SharePoint 2010 to SharePoint 2013. If this sounds like something you have or are currently experiencing, then let’s take a step back to the basics of what SharePoint is, and what it can do for you. SharePoint is a web application and platform by Microsoft designed to help you combine and manage content and documents on the intranet. It has a Microsoft Office like feel and works nicely with other MS Office Applications (Word, Excel, PowerPoint, Access, Visio, Outlook). With SharePoint you don’t have worry about having 7 versions of one form, where one copy is an email, the another on your co-workers desktop, and another a hard copy with red pen and coffee marks all over it. With SharePoint, you can have ONE copy that can’t be edited by more than one person at the same time. Additionally, you can set up versioning where SharePoint will keep an infinite number of previous copies and require each form to be approved before becoming a major version. Are you sure about that? SharePoint offers Libraries and Lists that allows you to customize, organize, and prioritize your content, and you can even create Document Sets to keep all related documents together and managed as a single entity. Additionally, you can create or add new columns to see track modifications.